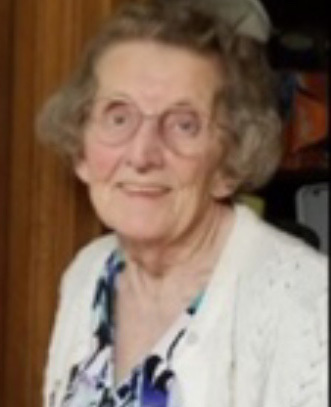 Dawn Marie Osteen Geelen, 79, of Concord, passed away Thursday, April 11, 2019. Mrs. Geelen was born July 5, 1939 in North Carolina to the late Merritt and Alma Osteen. In addition to her parents, she was also preceded in death by her husband of 44 years, Harley Henry Geelen, Sr; son, Harley "Gil" Geelen, Jr, grandson, Harley Geelen Reynolds; brother Ricky Osteen. Dawn was blessed by God to have spent many years in Europe, with four sons being born in three different continents. She was able to see most places in Germany and most of Europe. Dawn felt that God really blessed her. She graduated from Frankfort American High School in Germany. Her Life was full of happiness. Dawn was blessed with wonderful neighbors for over 40 years, Charlie and Geraldine Rhodes, Harley and Sue Furr, and Larry and Tilly Heintz. The family will receive friends from 6:00 - 8:00 pm, Tuesday, April 16, 2019 at Hartsell Funeral Home. A memorial service will be on Wednesday, April 17, 2019, at 2:00 pm, located at Hartsell Funeral Home of Concord, officiated by David Franks. Burial will follow at the Oakwood Cemetery at 421 Church Street, Concord. Survivors include: three sons, Clyde (Beth) Geelen of Concord, NC, Michael (Tammy) Geelen of Locust, Frank (Rebecca) Geelen of Statesville, NC, along with sixteen grandchildren and thirty-five great-grandchildren. Memorials may be made to Hospice and Palliative Care of Cabarrus County, 5003 Hospice Lane, Kannapolis, NC. 28081. Hartsell Funeral Home of Concord is serving the Geelen family.